Tom and I are excited! 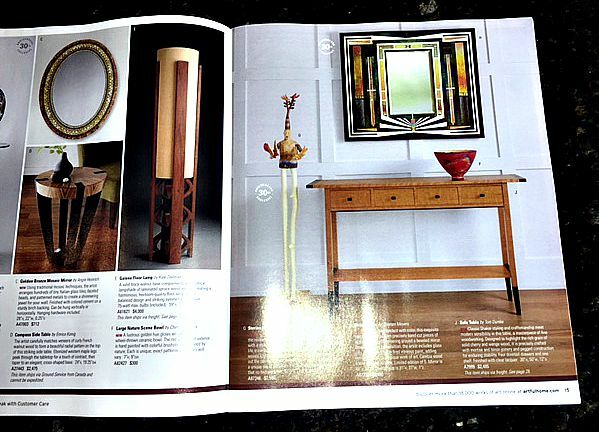 The Fall Artful Home catalog is out and Thomas William Furniture is on page 15 and page 24. 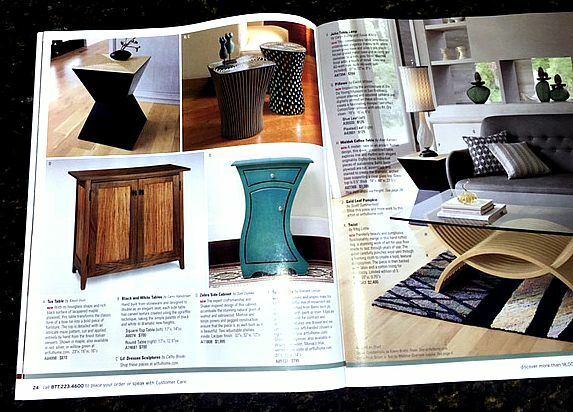 This catalog is sent to over 500,000 homes. This is a golden opportunity for us to gain more exposure for Tom’s work. For over a year now, we have collaborated with Artful Home as way to expose and sell Thomas William Furniture. Before then, most of our sales were from fine art festivals around the country. Part gallery, part art fair, part online marketplace...Artful Home is all of these things and more. Shopping here is like shopping hundreds of galleries and boutiques across North America. Such breadth of high-quality art is nearly impossible to find anywhere else. Artful Home helps artists get exposure and sell their work. Art is Artful Home’s passion. They are dedicated to offering the most exceptional and beautiful works of fine art, craft, and design for your home and wardrobe. 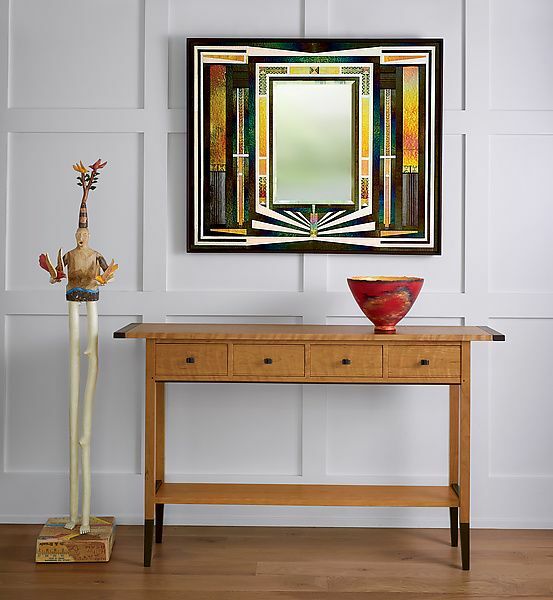 They are equally committed to supporting the livelihoods of the celebrated North American artists who create this work; one of them being Thomas William Furniture. 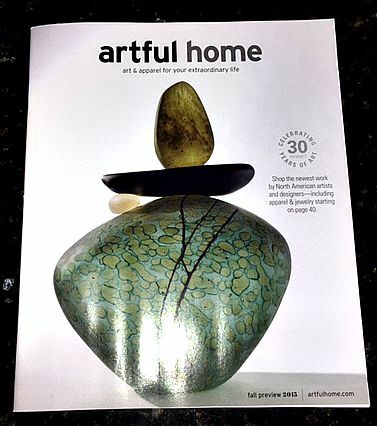 To receive your copy of Artful Home’s catalog, click here. Artful Home is proud to offer the most significant catalog/online collection of juried North American fine art, craft, and design for your home and wardrobe. Every work of art is created by an artist and shipped directly from his or her studio to your home. Artful Home represents more than 1,000 remarkable artists, all of whom work in small, independent studios in the USA and Canada—not overseas, not in factories. Every artist has been selected by a team of art world specialists to ensure a collection of the highest quality. They offer over 18,000 original works of art in a juried and curated collection of exceptional quality.